The Heart is the queen/king province of our "Inner Country"
"Chinese medical Qigong emphasizes soft, slow, rhythmic movements of the body synchronized with deep diaphragmatic breathing. The purpose of these exercises is to stretch the tendons, loosen the joints, and tone the muscles, to promote circulation of blood, and to regulate all the vital functions of the body. 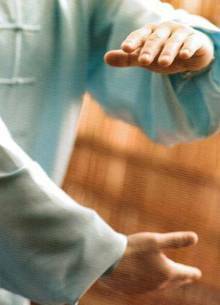 Medical Qigong are sets of different exercises stimulating the flow of energy in the meridians and the vital organs. The exercises are building up in a way that they stimulate the flow of energy and therefore open the network of meridians and creating space within. It is a form of playful and inviting exercises giving joy to the body. By practicing these exercises regularly, you can feel that the external movements help you to feel the internal movements of your body. It is a way to strongly increase and improve your energy of life. 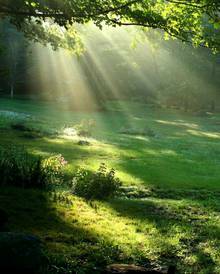 Five Elements Qigong - The major vital organs, as Heart, Spleen, Lungs, Kidneys and Liver are here in the spotlight. Special designed exercises for each vital organ and there related "family" organs, glands and senses will bring balance. They help to release tension and detoxify in different levels. We can start to work with one vital organ and deepen the relationship. Investing 5-15 min a day for 2 weeks. We will check the results and either deepen or learn to detoxify the next vital organ in the sequence of the "Five Elements". It's astonishing, how quick we can recover and improve our health, when we detoxify our whole body! The Golden Brocades - The whole body is flowing and relaxed while moving. This exercises all the joints and major muscle groups in a slow, rhythmic, mindful way, priming the body for whatever demands the day may make. The Brocades will exercise your tendons and bring balance in your meridian - and hormone system. It trains balance and body awareness, and focuses the mind. The Swimming Dragon is great for your back and spine. The bladder meridian with the special points to the internal organs gets positive input. Quite often the relationship between the internal organs is disturbed. The Swimming Dragon balances the whole body. The movements are in a soft, flowing rhythm. There are beginner to advanced options. Everyone can learn the Swimming Dragon Qigong, no matter, at what age you begin. The movements produce energy and vitality in the body, and harmonizes the hormone system. Here you will learn a very effective sequence, which will give your day a great kick of energy, just practicing 5 to 10 minutes daily. Your metabolism gets harmonized. In case the metabolism is too slow, mostly people wish to loose weight, but they can't. And in case the metabolism is too active, people wish to gain weight or to keep their weight. The Swimming Dragon can be the remedy. 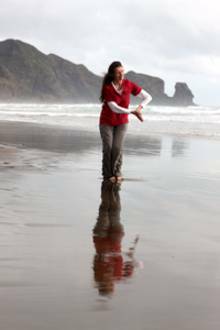 Medical Qigong are simple exercises that open doors to vitality and inner balance. They help to dissolve stagnation and blockages in our body, thereby strengthening the immune system and harmonising the hormone system. This Qigong connects up a system for healing the whole self – body and mind. The body already has everything it needs to heal itself; it is only a matter of learning the simple exercises that help us activate this inherent energy once more.